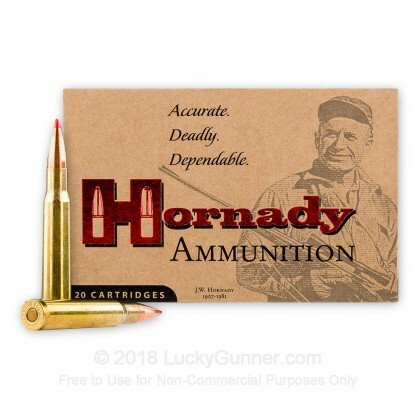 Whether you're going up to Camp Perry to compete in a rifle match with your M1 Garand or shooting with your local CMP organization, Hornady's match grade 30-06 ammo will prove accurate shot after shot. 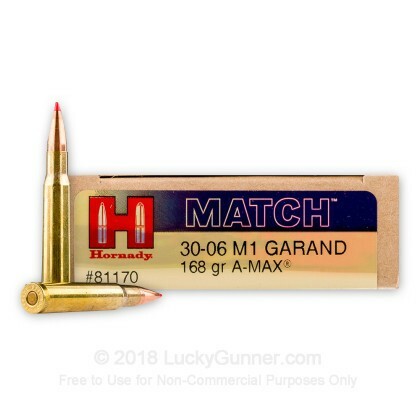 Hornady's A-MAX Match ammo is a favorite among serious shooters for match-grade accuracy. Hornady's philosophy of "Ten bullets through one hole" is on full display with this cartridge's premium accuracy. 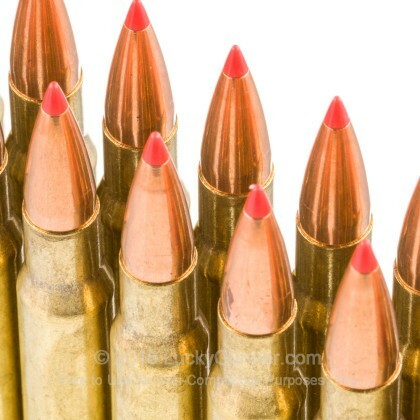 A-MAX Match ammo features a secant ogive profile with a boat tail design that delivers an extremely high ballistic coefficient. 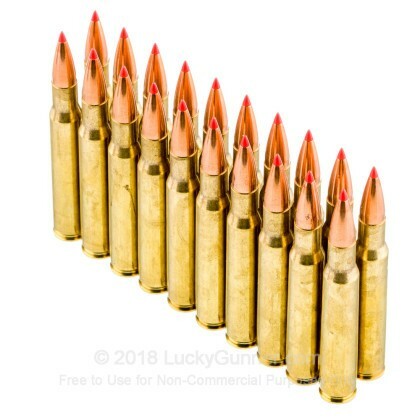 This ammo is designed to provide excellent groupings to leave your competition in the dust. Fast service. Had them on time for match. Great stuff. Reliable. Clean. Accurate. Shot this Garand round in both my autoloader and bolt action. Excellent performance. Shipping was fast and reliable. Packaging was top notch. 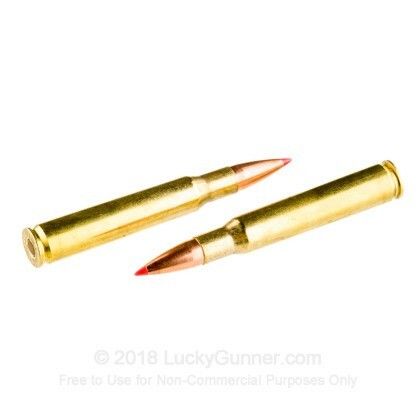 I love LuckyGunner (but who doesn't?). Gave the best accuracy, by a comfortable margin, of any loading I've shot in each of three different Garands. Expensive, though. yes, it'd be nice if it were cheaper but this stuff is the absolute best. Never a misfire! 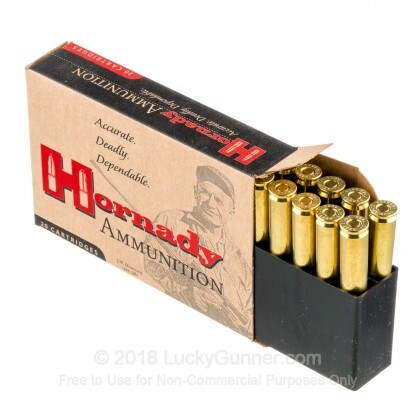 Had a chance recently to shoot a couple boxes of this through a friend's M-1 Garand, and I couldn't be happier. Great performance, stellar reliability - what's not to love?